Had two great hunts this week. Hunted the “duck pond” on Friday and had the best shooting of the season. Right at shooting time numerous flocks of mallards dropped into the decoys. Shooting was fast and furious and we picked up a three person 18 bird limit in just under an hour! Final total was 12 mallards, 2 gadwall, and 4 woodducks. Just before 9am we heard a distant honk and everyone got done. Next thing we knew a flock of 30 geese was locked and coming. When they got over the pond I called the shot and we dropped 6 birds with some efficient shooting. Awesome day. This morning 10/27/13 we hunted a old beaver pond near Coloma. The first 30 minutes were action packed and we dropped 4 woodies and 2 mallards. DOGEEE had some great retrieves as well. 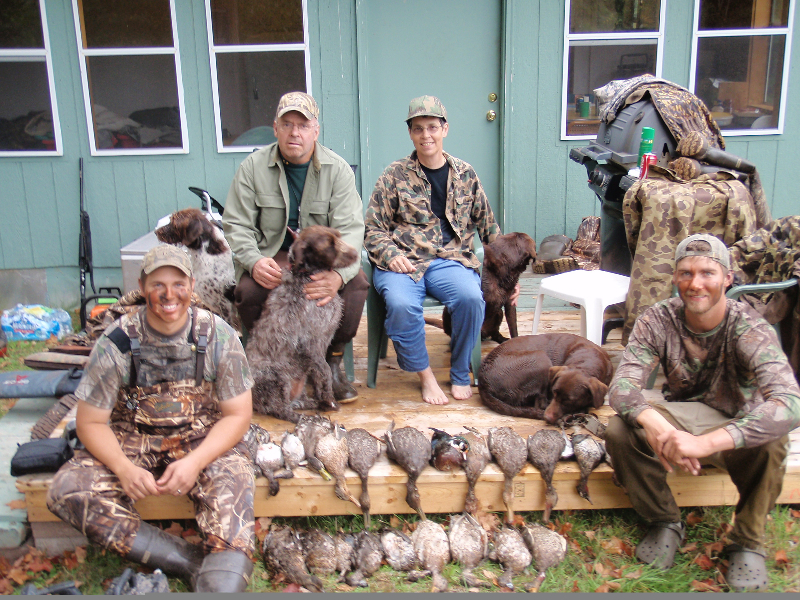 Still looking for another group of hunters on Saginaw Bay next weekend! Best Duck Camp in Years!